This is all we got in the mailbox today. 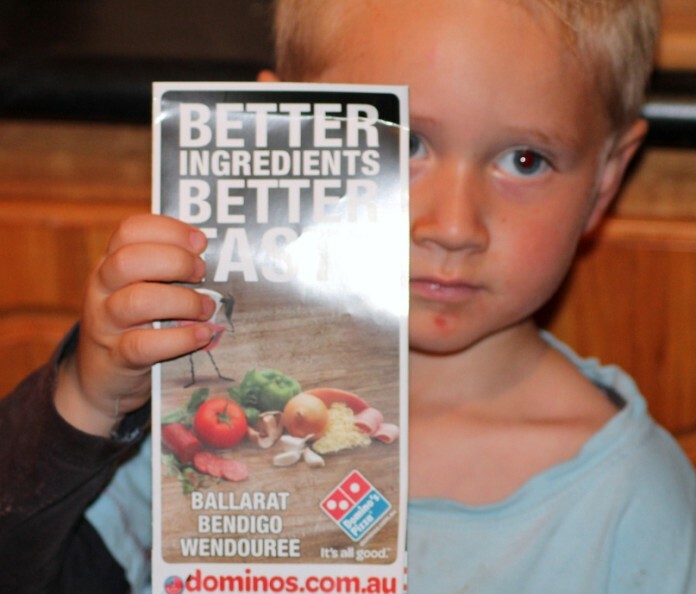 Dominos Pizza, you owe me money for advertising on my site...!! Ha! In all seriousness, we have never had their pizza. I hear it is good though. Clearly Braeden is thrilled by it. Well, Anna, I would rate Domino's in the U.S. about a 5out of 10...you could do better and make sure they pay you right away! Not a fan of these pizzas.